The key to driving results isn’t solely based on aesthetically pleasing dashboards; it’s a combination of truly well-designed and defined dashboards, and a team that knows how to take action upon the data/metrics that follow. 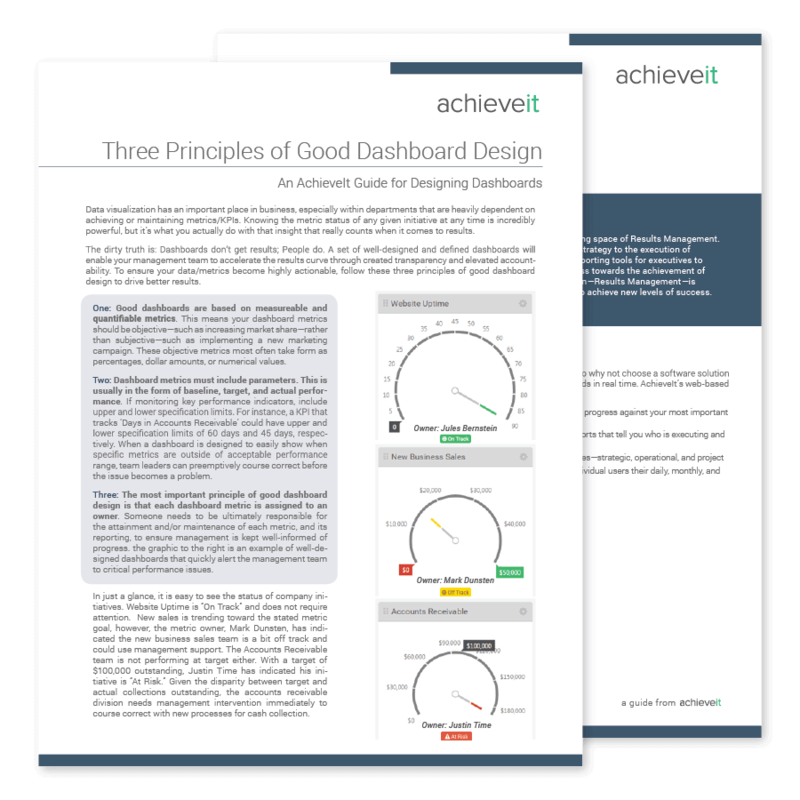 The three principles of good dashboard design to drive better results. How a culture of transparency and elevated accountability can enable your management team. The ease of creating and using custom dashboards in AchieveIt’s platform.